With the winter term coming to a close, so too comes the end of Tarique Plummer’s tenure as president CEO of the Wilfrid Laurier University’s Students’ Union. With this brings a reflection of all he has accomplished during the past year. Plummer’s success in actualizing his platform began a year ago, when the previous board of director’s approved his operational budget. However, this year’s budget was not approved without its own set of questions and critiques. In particular, Plummer’s proposed “president’s leadership” budget was much higher than what was allocated in previous years. Kanwar Brar, Students’ Union president and CEO in 2017-18, budgeted himself $43,922.80 in his president’s leadership budget. Of the amount allocated to Brar, he stated that he only used $9,279 as of Mar. 31, 2018. In contrast, Plummer aimed to allocate $99,690 — over double the amount which Brar budgeted. This large increase brought forth questions surrounding what the funds would be used for as, traditionally, the president’s leadership budget is used for things such as professional development, transportation costs, supporting events on campus and other expenses used by the president. Ensuing the budget approval meeting last year, Plummer told The Cord that this unique allocation would allow him to surpass the accomplishments and successes of his predecessors. “We, for a long time as an organization, have been operating the same way and getting the same results and students are still asking what the organization does. So when I expanded the scope of my leadership budget increase … essentially I placed programs there that would directly benefit students,” Plummer had said. Indeed, during Plummer’s tenure, he has been able to actualize tangible steps in completing 11-12 points of his 15-point platform. “[The increase] wasn’t essentially taking the money and padding our pockets for food costs or transportation costs, it was going right back to the students,” Plummer said. As such, much of the increase in Plummer’s president leadership budget was used for funding new initiatives. Approximately $30,000 of the president’s leadership budget went towards the successful student application program created by Plummer this past year. “The successful student application program that seeks to help students who are going through significant financial hardships,” Plummer said. Students going through difficult financial periods are able to apply to the program and may be eligible to receive funds in order to help them get through the rest of the academic year without the weight of financial stress. Plummer has begun the process of attaining information, looking for external and internal reviews, advice and suggestions in order to identify needs on campus and gaps that need filling. Approximately $2000 of Plummer’s president’s leadership was allocated towards his presidential sponsorship program — another initiative created this year. “The presidential sponsorship program is for those clubs, groups and individuals who are competing locally, nationally and internationally,” Plummer said. Clubs and associations on campus are able to apply to the program in order to attain funds for competitions, to provide exposure and promote the values and ideals of the university as a whole. 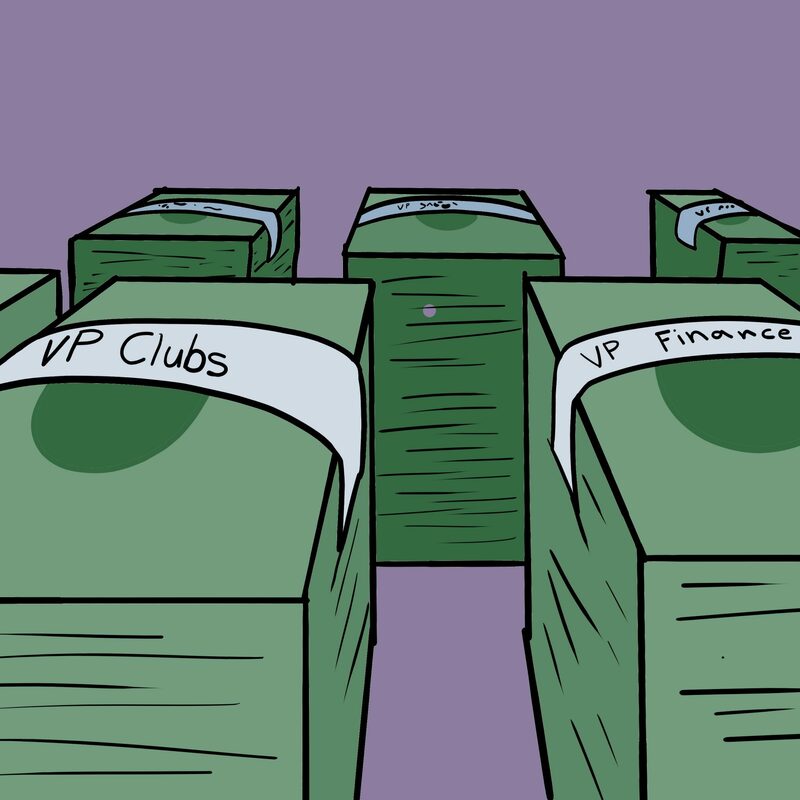 $3,000 of the leadership budget also went towards the Students’ Union ambassador program. “That accounts for the significant surplus or the increase from my predecessors’ year. When it comes down to everything else, it’s all the customary … and traditional things in that particular line [of the budget],” Plummer said. A complete breakdown of the rest of Plummer’s president’s leadership budget will be released this Friday, Apr. 5, at the final board meeting of the year, where incoming president Zemar Hakim will also look to approve his operational budget. In the month of April, his final month as president and CEO, Plummer intends on working to move forward with the last items from his platform which have not fully come into fruition. “[My] platform was very meaningful to me, because the way I did it in my campaigning process was speaking to students and different groups. Each group had something that meant the world to them and I incorporated what each group really loved and wanted and I made it my priority to actualize it because it had significant value to their student experience — that culminated to the 15-points,” Plummer said. Plummer hopes his successes will also translate into expectations leading into the coming years. “Following through was absolutely critical because the confidence students will have in us after this year is done and the expectation they have will be even higher for upcoming representatives,” he said. A large accomplishment of the year for Plummer was the launch of “The Perch” — a new app for clubs and associations on campus. The app, however, has not been without its critiques and many have voiced their concerns in having to adapt to using the app. Plummer attributes the difficulties and critiques to the adjustment period — with marketing and time, he feels the app will be able to function smoothly and students will be more attuned with its presence. One of the larger points on his platform which has not been fully achieved was the integrated wellness centre. Although this initiative has not yet come into fruition, Plummer and his team have begun advocating for the change in wellness programs on campus. “What we have done for this particular year is work on a case for support,” Plummer said. Plummer hopes that, in Hakim’s year as president, the initiative will work towards drafting a proposal, consulting with stakeholders and potentially looking to have a referendum question.